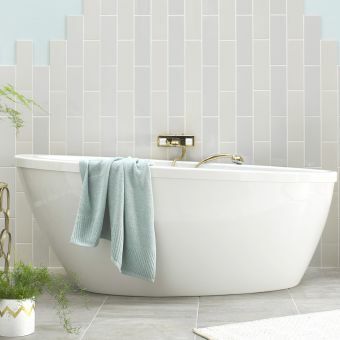 Boasting a traditional design with modern materials, the Bentham free-standing bath is the ideal candidate for inclusion in the bathroom that has space to play with and a stylish presentation. 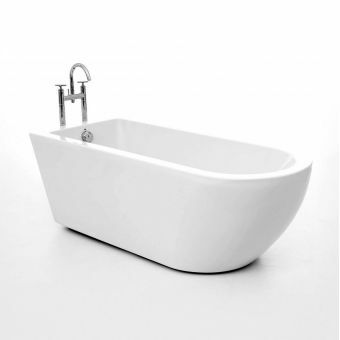 Featuring a traditional design of a single flat-end, it can be installed flush against a wall or left free-standing depending on the design layout of your own particular space. 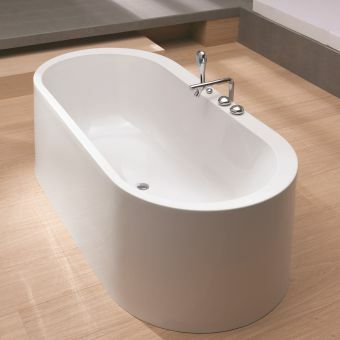 At the opposite end, the supportive inner slope allows the user to recline in comfort and enjoy the bath space in style. 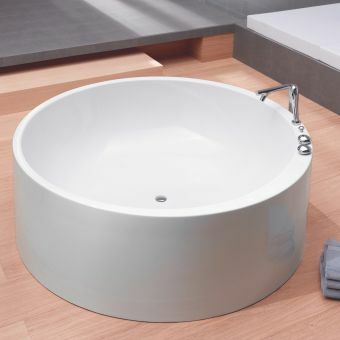 A slight angle towards the waste outlet allows for quick and efficient draining of the bath. 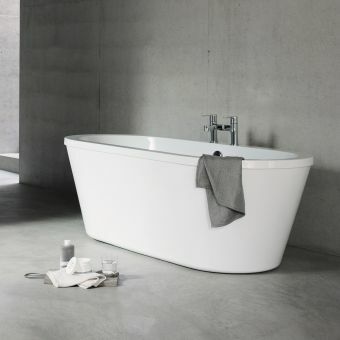 Surface-mounted bath mixers can be fitted to the bath deck, while the option for fitting bespoke April bath feet allows for the customization of the piece to your own specifications. 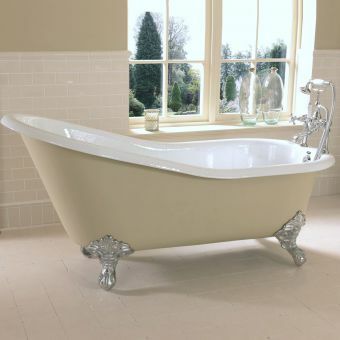 Please note that waste and bath fillers pictured are not included in price, and can be ordered separately.